OK. So we now have our base image that we want to dirty up. 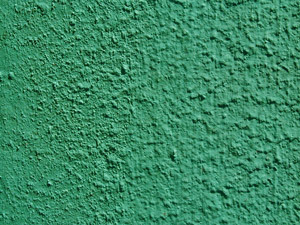 For this, we will use a couple of high resolution image textures that are easily accessible from the web. We need to first adjust the size of these above images to correspond to the 2400 x 2400 resolution of our image that we are working on. 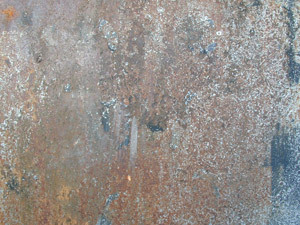 So open the rusty metal image and go to IMAGE>IMAGE SIZE. A window will open and enter the new width and height at 2400 x 2400 respectively. NOTE: Very important to unclick the Constrain Proportion s option here, as this will just scale the image and not resize it properly. Now with both the Width and Height set to 2400 pixels, press OK. The image will be resized. Now do the same thing for the dirt image, making sure that you deselect the Constrain Proportion option as well. 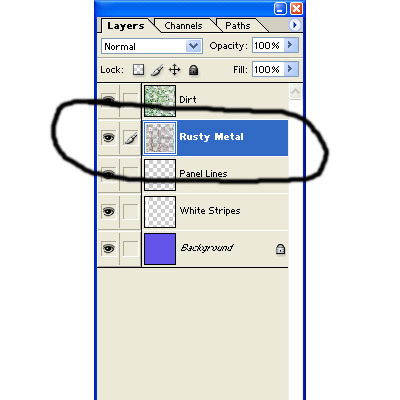 Now, with the Move Tool , grab the rusty metal image a drag and drop it into the PSD file with the base colour/stripes/panel lines. 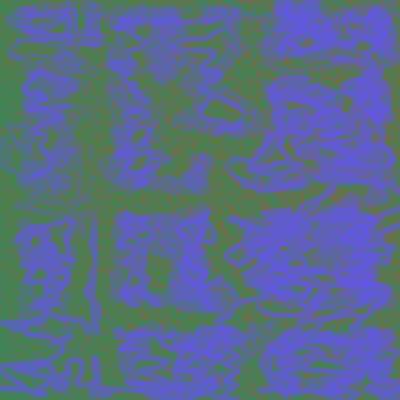 By doing this, this will automatically make a new layer for this image. Still using the move tool, move the rusty metal image around until it is completely filling the screen andthere are no gaps around any of the outside edges, (i.e. you can't see the base colour image below). Photoshop should snap the image into place once you have it close to the edges anyway, so you shouldn't have a problem here. Now do the same with the dirt image and place it so it fills the screen. Make sure that you have the dirt image layer on top of the rust image layer, (you don't see dirt underneath rust now, do you? :)). Now, hide the remaining layers, EXCEPT THE PANEL LINES LAYER, by pressing the "Eyes" beside each corresponding layer. 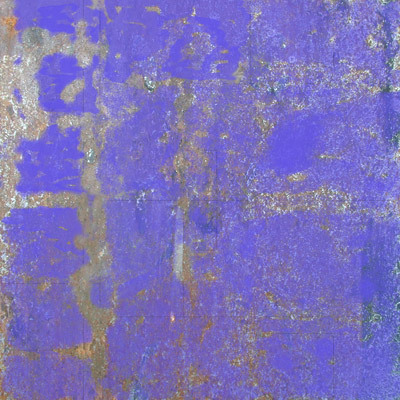 Now on the rusty metal layer, click on the opacity and drop the slider down to about 30-40%. You should now be able to see the panel lines beneath the rusty metal image. We will now use the panel lines as a guide for painting the rust. Now select a brush from the brush menu, (it is best to use non-uniform type brushes for this process), and increase the pixel size to something in around the 25-40 range. Also, and this is very important, set the opacity of the brush to less than 100. This will ensure that there is some residual stuff left over. Now start erasing parts of the rusty metal image making sure to leave rust in areas that you would expect to see rust, (i.e. in the panel cracks, and just around the panel edges), but also leave some residual rust in the middle of the panels. I also went around and blurred some of the edges to soften of some spots that seemed to uniform or sharp. Now hide the Rusty Metal layer and turn on the Dirt layer. Repeat the above process but you do not need to follow the panel lines on this layer, as dirt has a way of just going all over the place. Also use an array of different brush types and brush opacities to get the desired effect that you want. For the dirt layer, I also did some smudging in areas and also some blurring to soften out some spots. We are now done with this process and we can move on to generating the base colour map, and the subsequent bump maps.